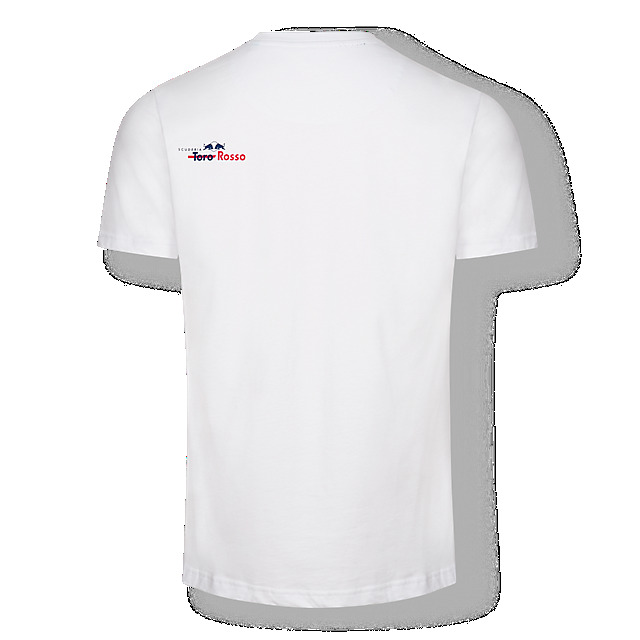 Show your support for the French racer with the official Pierre Gasly driver T-shirt. 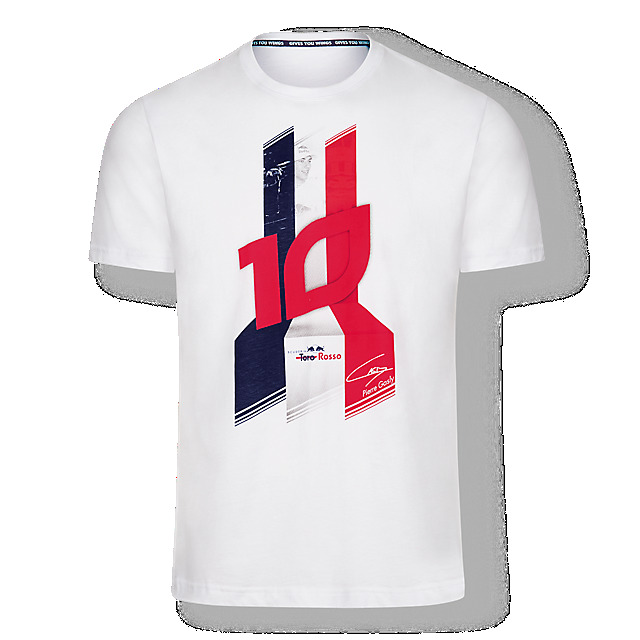 The classic round neck tee in white features a vivid front print of Pierre's driver number (10) in red, on a French flag background made up of his photographs. A Scuderia Toro Rosso logo and Pierre's signature in white complete the look.